Event 86, Rampage! Kyouten Mechanical Castle / 暴走！ 驚天カラクリ城, has started. It's a gacha event. Gratitude for 41 Months Since Release Campaign: Players get 2 FS each day they log in. a. New: 6* Camellia Wabisuke, 5* Cone Flower (Ninja), 5* Laurentia (Ninja). Her 22% Def boost for all went to 30%. Her 4% increased damage reduction when defending for all went to 5.3%. Her 20% critical damage boost for all went to 40%. Her 25% Atk boost for all went to 30%. Her 20% Atk boost for all went to 32%. Her 20% Atk boost for all went to 30%. Her 20% Atk boost for all went to 40%. Her 30% chance to heal 25% of her max HP each turn is now a 40% chance. New ability: Everyone's damage against bosses goes up by 12%. Her 15% Def boost for all went to 22%. Her 2.2% increased damage reduction when defending for all went to 4%. She will get a status boost in the future too. a. A gacha is available for the new characters. b. A gacha is available which consists of 5/6* characters with abilities that increase skill activation rates only on the first turn. a. Aqua Shadow Part 1 got an EX Destruction class stage. Challenge powered up Cactus clones in this. Main quests were added which give you rewards based on the number of times you have cleared it. b. Nation missions renewal continues. 2-4 is added for each nation. a. The mechanical theme was added to the shop. b. A new BGM is buyable. The LC, Honor Medals, and Commander Medals lineups were updated. An additional Commander Ticket is buyable. The Home screen's BG and BGM were changed. a. Fixed a problem where an error might occur if you changed the scenery, house, or trees of the garden. a. Excess FS were distributed on accident in an attempt to expand everyone's number of sets and give back the FS people used to expand sets in the past. Everyone was given FS in order to make the correct total of 18 FS. The expansions add up to 6 FS, so 12 FS were given as surplus. In order to get the 18 total FS back, 6 FS would be given as compensation. Examples 4 and 5 gave the correct number of FS for the number of expansions made. There's no surplus FS in this example, so you'd get an extra 18 FS. b. Items were given as an apology for a bug on 5/7 where your raid points might not have been expended when fighting an RB. The items were based on the biggest amount of each thing amongst all customers. 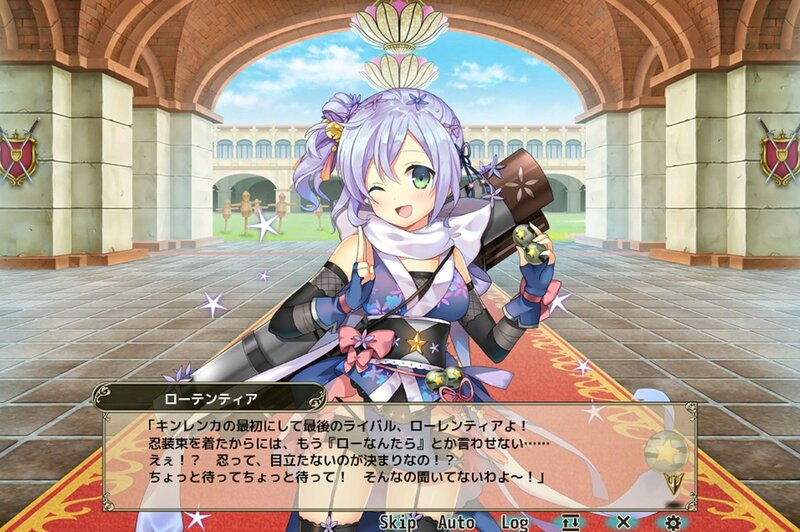 c. 1 FS was given to everyone as an apology for the extended maintenance. As an amusing post note, Laurentia's name was misspelled as Lautentia in her introduction dialog. This was fixed quickly.